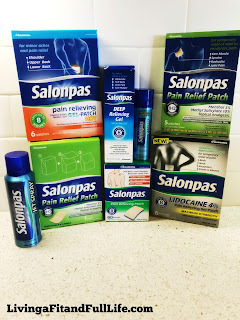 Living a Fit and Full Life: Relieve Pain with SALONPAS Pain Relief Products! Salonpas® Pain Relief Patch is the only OTC pain reliever labeled to relieve mild to tougher, moderate pain. 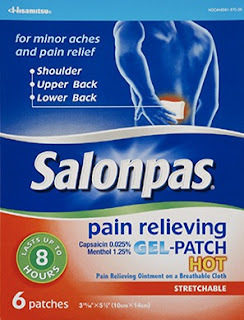 Salonpas® Pain Relief Patch provides effective pain relief for up to 12 hours. 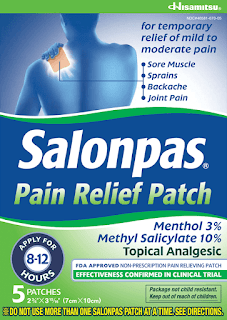 Salonpas® Pain Relief Patch contains two powerful pain fighting ingredients, menthol and methyl salicylate (a NSAID – a nonsteroidal anti-inflammatory drug). Introducing Salonpas® LIDOCAINE Pain Relieving Gel-Patch. It’s the latest innovation from the world’s leader in medicinal pain patches. Salonpas® Lidocaine Pain Relieving Gel- Patch provides temporary relief of pain associated with back, neck, shoulders, knees and elbows. Salonpas® Lidocaine Pain Relieving Gel- Patch is not indicated for post-herpetic neuralgia. Salonpas® JET SPRAY provides cool, fast relief of muscle and joint pain. The convenient spray is unique in offering you two powerful pain fighting ingredients to allow you to reach hard to reach areas of the body! Menthol provides faster onset of relief with a cooling, soothing sensation, while the methyl salicylate, and NSAID controls pain for long lasting relief (up to 8 hours of targeted relief)! Finally a pain relieving spray that is no mess with it’s non-drip, quick drying formula! Just point and shoot on still joints such as arms, hands, legs, and feet. And due to the unique combination of actives, Salonpas® JET SPRAY has minor smell compared to competitive products. 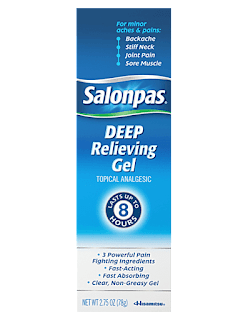 Salonpas® DEEP Relieving Gel contains three active ingredients, camphor (3.1%), menthol (10%), and methyl salicylate (15%), that penetrate deep, providing effective relief for up to 8 hours. It’s an easy-to-use topical analgesic, in a clear, non-greasy gel that starts working on contact. Salonpas® DEEP Relieving Gel melts fast, absorbs quick, and rushes powerful medicine deep into muscles and joints. 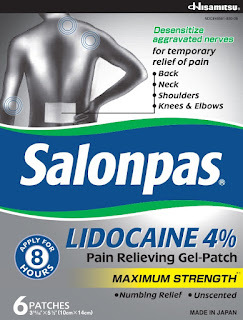 Relieve pain with SALONPAS pain relief products! I've recently started having very bad back and hip pain and up until now nothing helped relieve the pain. SALONPAS pain relief products have been a life saver. When the pain was just about unbearable SALONPAS Pain Relief Patches worked like a dream come true. My pain is much better now and I'm honestly not too sure what caused it but I'm happy to know that SALONPAS pain relief products are there to help me if I ever experience it again. 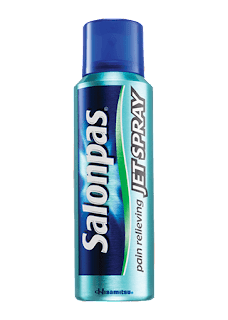 Salonpas® DEEP Relieving Gel and Salonpas® JET SPRAY are also phenomenal products when it comes to getting relief from pain. They work incredibly well and provide relief for up to eight hours. If you're experiencing pain and need relief I highly suggest you try these products from SALONPAS! Click HERE to find a store near you that sells SALONPAS! 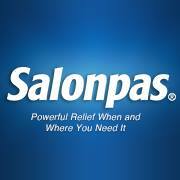 Click HERE to learn more about SALONPAS! Follow SALONPAS on social media!